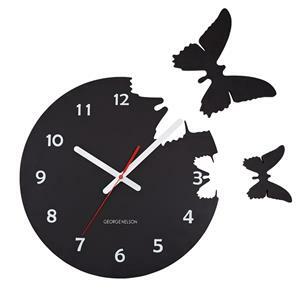 More information to order is located by clicking Treering PDF . Also if you run into any trouble at all while setting up your TreeRing account or have any additional questions, they have a great support team. Please contact them at support@treering.com. Or feel free to send inquiries to: tirish.dirks@gmail.com. 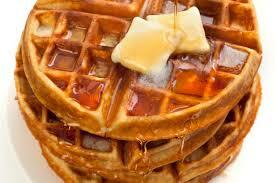 There will be an ALL YOU CAN EAT BELGIAN WAFFLES BREAKFAST FUNDRAISER on Sunday, May 5th from 8:30am-12:30pm in the Grandview Middle School cafeteria. Please come out and support the Mound Westonka White Hawks Football Team!! 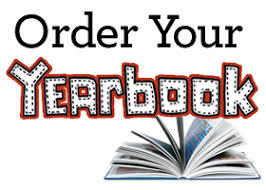 Take Outs Available!! Silent Auction!! Our Kindergarteners Shine Bright here at Shirley Hills! If you missed Kindergarten Round-up, have no fear! You and your future Kindergartener(Fall 2019) will have another opportunity to visit the school and meet the teachers at our Kindergarten Meet and Play on August 14th, 2019. Information will be mailed out early August. 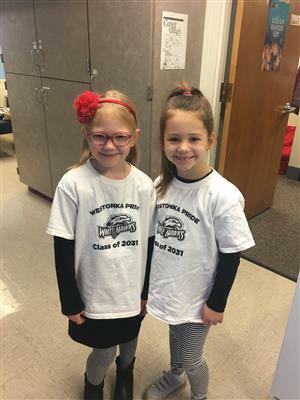 We are already looking forward to welcoming Westonka's Class of 2032! 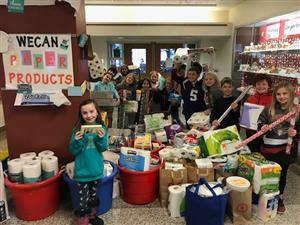 Thank you to all who helped make our paper product drive for WeCAN a success! Together, we collected 850 items! 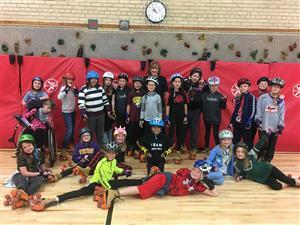 At Westonka we SOAR...we create a SAFE environment for all, we OWN our actions, we ACHIEVE our goals and we RESPECT others and property. So far this school year our students have earned 8,104 SOAR slips!! We celebrate school spirit on Fridays by wearing Westonka colors - black, red, white, Shirley Hills, Westonka, etc. all work. 20 names are chosen from a bucket, and if the student is wearing school colors, they get to go to the office to pick a prize. Let's go White Hawks! Together Everyone Achieves More....Welcome to TEAM Shirley Hills! 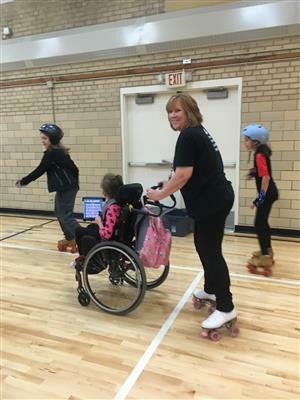 Roller Skating Fun in Phy Ed! Congratulations to our 72 students who achieved their summer reading goal!! Combined, these kiddos read over 86,400 minutes this summer. WOW!!! A great book, comfy pajamas, a favorite stuffed pet and time to read – what could be better? 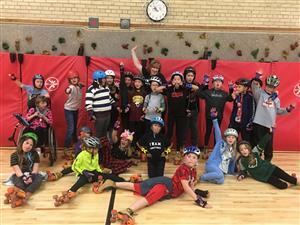 Shirley Hills Primary School hosted its annual Read-a-Thon on April 12, when students spent special time reading and raised $5,400 in pledges for their efforts. 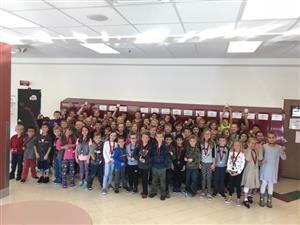 Shirley Hills Primary School students enjoyed a special field trip last week, when the entire student body boarded buses headed for the Westonka Performing Arts Center to view the final dress rehearsal of this year’s operetta, "101 Dalmatians, Kids." Hilltop Primary School first- and second-graders joined the Shirley Hills students for the production, which resulted in an enthusiastic packed house. Western Communities Action Network (WeCAN) will host a free Super Hero Kids™ Training for kids in kindergarten through third-grade and their parent on Tuesday, April 30, from 5:30 to 6:30 p.m. The Shirley Hills Primary School PTA sponsored two Author-in-Residence programs this week. Nancy Carlson, author and illustrator of the Harriet and Loudmouth George books, visited with kindergarten and first-grade students on April 9, while Erin Soderberg Downing, Minneapolis-based author of The Quirks series and the Puppy Pirates chapter books, visited with second-, third- and fourth-graders on April 10. Shirley Hills Primary School students will be presenting “101 Dalmatians Kids” on Thursday, April 4, and Friday, April 5, at 7 p.m. in the new Westonka Performing Arts Center.